It is no longer enough for the Syrian opposition to reconsider its calculations and relationships network. It must draw up a new drastic program relying on the domestic arena, in light of the network of international and regional relations which pushed its revolution towards the obstacle. It would be easy to blame its political wings and military forces inside and outside the border, but it would be unfair to hold it responsible for the entire outcome of the situation. Moreover, it would be easy to blame its friend in the West and the region, but at this level as well, there should be no exaggeration, considering that the latter have calculations and interests that cannot be disregarded and overcome, and that supersede moral considerations which require all the sides to do their best to stop the bloodbath in Syria, along with the machine that is destroying the country and its people. In light of the absence of any signs pointing to an imminent military settlement or political solution, the opposition has no choice but to go back to the Syrian domestic scene and rely on its political and military powers to even out the balance of powers and impose the solution wanted by the Syrians. It is no longer useful for the National Coalition to await the “antidote from Iraq” as it is said, or from America, Europe, Turkey and some Arabs, as a condition for the establishment of the transitional government. Ever since the establishment of the National Council, pointless disputes erupted inside of it and mostly revolved around foreign intervention. Some forces even left the Council due to their opposition of the calls of some parties for such an intervention, as it happened in Iraq. Hence, the opposition’s components diverged for a long time over an issue which was never even on the table. Indeed, Turkey – which raised its voice since the beginning of the action to issue threats and warnings – never had any willingness to intervene, and even when its border was attacked, it did not perceive this as a pretext for any sort of involvement on the field, but rather as an opportunity to summon NATO’s support and Patriot missiles! Jordan on the other hand – which supported the calls for President Bashar al-Assad to step down – did not open its border for anyone but the refugees, thus abstaining from providing weapons or facilitating their passage in light of the action brewing on its domestic arena. As for the American administration, which can easily be blamed today for abstaining from intervention and for standing behind the divided Security Council or the U.N.-Arab Envoy, it never even considered an intervention and was late – since the beginning – to even call on al-Assad to step down. This is bearing in mind what happened in Iraq and Afghanistan, which are now returning to square one and to the language of arms and infighting. And just like America, Europe is also reluctant, as opposed to when it was overwhelmingly compelled to change the regime in Libya, for reasons that are partly related to this country’s oil wealth and others related to security issues, considering that Qaddafi’s Jamahiriya constituted a passageway for illegal immigrants and smuggling networks into Europe’s South and West. There is no doubt that both Washington and its partners are now concerned about the spread of weapons coming from the late colonel’s arsenal throughout North Africa and the Western Sahara. Some of them even believe they have no choice but to follow in France’s footsteps in Mali, i.e. into a war which might not be a picnic as much as it could turn into another Afghanistan! This is not to mention what is happening in Egypt, where the new regime of the Muslim Brotherhood managed to reignite the revolution, in a manner threatening economic and security collapse in a country where the situation has repercussions on the entire Arab world, as well as on North Africa, the Horn of Africa and Israel. This is also not to mention the political predicament in Tunisia, and the threats to divide Yemen which is proceeding with difficulty towards the promised dialogue conference, even if the entire Security Council moves into it! A lot of efforts were wasted in the context of the conflict between those calling for and those opposing the intervention, knowing that it was never waiting for the Syrian opposition’s green light. Hence, the foreign help option, despite its vital and necessary character to confront the regime’s machine, tools, arsenal and the support it is earning from Russia, Iran and its allies in Lebanon or Iraq, might not be available in the near future. Indeed, such a decision is up to the foreign players alone and is governed by their calculations which supersede the circumstances surrounding the Syrian crisis and the moral slogans. Therefore, the Syrian opposition – with its political and military wing – should rearrange its internal ranks and organize its powers, instead of waiting for an assistance which might take a lot of time. It is not enough for the opposition to attribute the regime’s strength to the funds and weapons it is receiving from its allies. It should also pay attention to numerous internal forces that are still providing it with the necessary elements to persist and persevere and its opponents with reasons to show reluctance and choose to wait. Indeed, in the face of this regime’s successful militarization of the action, the opposition failed to ensure the instatement of one military body with one command. This facilitated the regime’s summoning of Islamic jihadists to the domestic arena, where the banners, slogans and operations of the latter groups pushed many popular components to grow closer to the regime and made several friends of the revolution fear over Syria’s future, and the unknown character of the stage which will follow the regime’s collapse. This also allowed the regime to neutralize the Kurds, to the point where they became implicated in battles with groups that should not have been involved in sideline battles. Nothing can justify the absence of clear strategic relations between the opposition and the Kurds, knowing that the latter now feel they have seized control over the management of their regions with their own hands and for the first time ever, despite the disputes prevailing between their parties and groups and the divergences affecting their agendas. The Coalition should firstly understand the Kurds’ problem in order to rebuild the bridges with them. Since the fifties, the Baath party’s literature has called for the Arabization of their regions to smother their national identity, and they had to suffer great racial segregation although some of them reached the presidency in Damascus. As for the conflict between the Baathists, especially under Saddam Hussein’s regime, it earned Syria’s Kurds some attention and understanding. However, this in no way meant a response to their demands and the recognition of their identity, but rather their use as a tool in the conflict with Baghdad, which provoked disgruntlement among the Arab tribes that had settled in Al-Jazira and the joint areas with the Kurds. The situation completely changed following the American invasion of Iraq and especially after the March 2004 incidents in Qameshli and Deir ez-Zor - i.e. when the regime did not settle for launching campaigns against them, but also tried to reignite their old problems with the tribes. But it is not enough to reassure the Kurds about the future, as there are other minorities which have started to be affected by the mayhem on the ground and the various affiliations and slogans of the armed men, and are consequently rushing towards the regime and seeking shelter beneath its cloak. It is also not enough to accuse the West that is concerned about the jihadists’ phenomenon and is using them as a pretext to abstain from supplying the opposition with weapons – thus settling for the dispatch of limited funds – just like the latter should not be defended, even if they are part of the fighting bloc, because they will constitute a burden for any upcoming authority or alternative power in Syria. 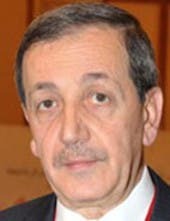 It is the Coalition’s responsibility to find a formula that would prevent the Syrian arena’s transformation into a destination for the movements of international jihad, in the hope it would manage to change the international position and push it to become involved, in order to ensure the desired change. In other words, it must unify the revolutionaries domestically and abroad into one body acting under one authority, and this should be done on the ground and not just at the level of statements. There are many other problems which the opposition should confront, as it will soon find itself facing difficult choices. Indeed, the United States which has so far chosen to observe from afar while awaiting the right circumstances to sign a double deal with Moscow and Tehran, is preparing for a dialogue that will pave the way for such a deal. At this level, it is enough to see what the members of President Barack Obama’s administration advanced in regards to the dealings with the Islamic Republic and the enhancement of cooperation and dialogue with Russia. It is also enough to see the pessimism spread by those who were the most enthusiastic about supporting the Syrian revolution, in light of their exclusion of the desired change in Syria and the military settlement. The crisis might not last longer than it already has, as those who abstained from supporting the revolution and those who are still insisting on the regime are well aware of the fact that the tragedy will end. In the meantime, any further violence on the ground will turn Syria into an arena of comprehensive anarchy which will affect the neighbors, and this is already being seen in Iraq and Lebanon and will soon reach Turkey and Jordan. In addition, Syria will become a stronghold for all sorts of jihadists, at which point Washington’s losses will definitely be greater than the ones it has endured due to the patience which has so far governed its position. But the greater loss will be that of Russia and Iran, considering that the coming change, regardless of its nature, will topple all that they have sown and built. In light of these facts, the allies and opponents of the regime in Damascus will find themselves forced to act to preserve whatever interests and relations they can save before it is too late, or at least to contain the losses. More importantly, the Syrian opposition will find itself before difficult choices, which might even be painful and costly, in order to contain the losses and protect what is left of Syria.